Most freelance writers religiously check job boards to see the newest opportunities. Sites like Problogger and Indeed can be wonderful resources, but one site is a surprising haven for freelance writing gigs: Reddit. Since I joined the site about a month ago, I’ve made more than $600 solely from Reddit-sourced clients. I landed a steady gig with one of those clients. Reddit helped me take advantage of opportunities I wouldn’t have found otherwise. Why? The communities, or “subreddits,” dedicated to job posting and writing gigs are consistently updated. Often, individuals post work requests, which allows you to communicate directly with your client instead of going through a middleman or a company recruiter. Ready to find your next great freelance writing job on Reddit? If you’re not familiar with the site, check out a beginner’s guide like this one. While your username can be anything, it’s best to make it your name, or perhaps your name with a number attached. Keeping it professional will give potential clients their first glimpse of your quality. Subreddits (or “subs”) are individual pages of Reddit about anything and everything. The three main subs for freelance writers are /r/ForHire, /r/HireAWriter and /r/WritingOpportunities. I’ll be mainly talking about /r/ForHire and /r/HireAWriter. /r/ForHire is a constantly updated compendium of companies and individuals who are hiring. It’s also a place for freelancers to advertise themselves. /r/HireAWriter is exactly what it sounds like – writers post about their services, and companies post job openings for writers. /r/WritingOpportunities lists publications that pay for writing and accept unsolicited submissions. Before you look through or post to any of these subs, read the rules. Each sub has its own set of rules that governs their use. Some offenses can result in you being banned! Familiarize yourself with the dos and don’ts before you set foot in one of these subs. For example, /r/ForHire forbids users from creating threads more than once a week. This is a bannable offense, so be mindful of it! They also don’t like URL shorteners. As long as you say you’re for hire and post some examples, you shouldn’t run into any issues. You’ll also want to read what’s known as the reddiquette. This is Reddit’s overarching set of rules that apply to every sub. To get the edge over your competition, you’ll have to narrow your search so you see only the kind of posts you’re looking for. For instance, /r/ForHire presents a problem because it contains both posts from people who are hiring, which are tagged with [Hiring], and posts written by freelancers to promote themselves, tagged [For Hire] or [Hire Me]. You’re only concerned with the [Hiring] posts. To see only [Hiring] posts, there’s an easy but effective trick. It’s over in the sidebar. Next to the header “Search all reddit jobs,” there’s a link that says “Hiring.” Clicking on this will show you only [Hiring] posts, and will also pull results from two other subs that act as job boards. /r/HireAWriter doesn’t have these filters, but it does retain the [For Hire] and [Hiring] tags, so you’ll need to do a bit more detective work to find the gems. Once you’ve found a job you’re interested in, it’s time to land it. Like other job boards, time plays a vital role, and it matters even more on Reddit than it does on other sites. Because there can be any number of users on a sub at any given time, your chances of landing a job are always different. You may be the first person to respond to a post, or you may be the 10th. Some postings have tons of responses within an hour, while others never get any. In the end, chance does play a big part. If you’ve found a good posting, you’re ready to message the user. While you’re sending a message over a social media site, you should still take it seriously. This initial message is your cover letter. Just like any good job application, it should highlight your credentials,. I keep the same format as a cover letter for messaging potential clients. I always use their name if I know it. My messages are short and to the point, which clients love. I link to my portfolio and give them my rates if they want that information. Always send your contact information, preferably your email address. The sooner you can connect with a potential client via email, the better. By moving the conversation to email, you’re declaring your professionalism and establishing a deeper connection. 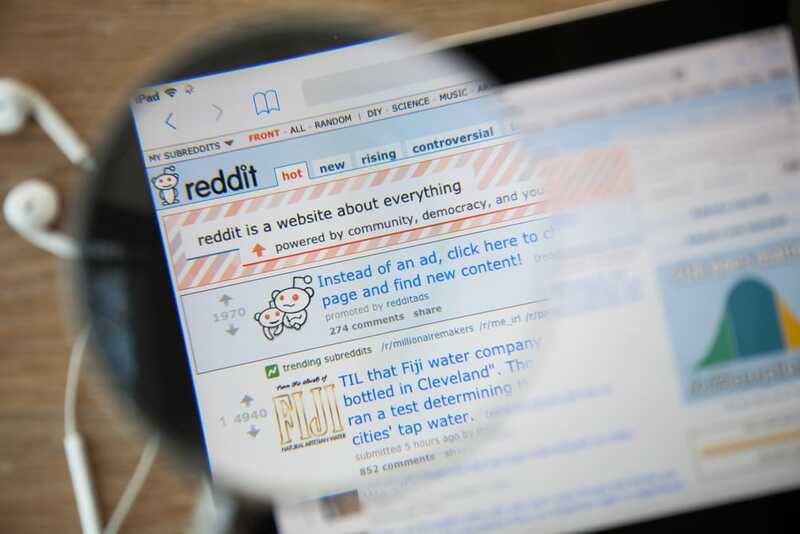 Your Turn: Have you ever gotten a job on Reddit? Share your tips in the comments! Ian Chandler is a freelance writer based in Ohio, currently studying English at Kent State University.